How to watch Game of Silence: Season 2 (2012) on Netflix Canada! Yes, Game of Silence: Season 2 is now available on Canadian Netflix. It arrived for online streaming on March 13, 2019. We'll keep checking Netflix Canada for Game of Silence: Season 2, and this page will be updated with any changes. Twenty years after four little boys vowed to remain silent about a horrific crime, the past reemerges with an opportunity for revenge. In the past, they were kids who could do nothing to save a friend. Now they're grown up. And ready to claim vengeance. Season 1 of Game of Silence has 32 episodes. Because different Netflix countries have different availability for episodes, you'll need to check the episode listing below to see which are available in Canada. After Zeki pulls the trigger on a man, he and four childhood friends take a trip down memory lane, after which their lives will no longer be the same. Seeing what happened to Zeki, Ecevit no longer hesitates and hatches a plan with Bilal. Ahu tells Ecevit the truth about her relationship with Bilal. Bilal is not forthcoming with Ecevit about Ahu. The trio tracks down the old prison guard. A cop visits Ecevit's office regarding Özcan's case. Hüseyin makes a call that he regrets. 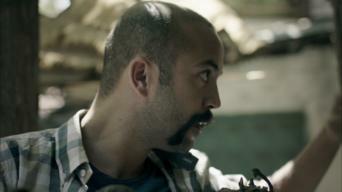 Ecevit thinks of a ruse to distract Gurur, who is on Bilal's tail. Ahu finds out something important. 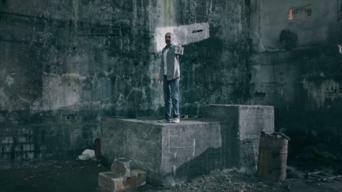 Ecevit calls on an important figure from his past for help. The trio finds a way to track down Sait. Ahu goes near the lion's den. Gurur is about to corner Bilal and İbrahim when someone comes to their rescue. İrfan is back with a vengeance. Bilal and Ahu have a new plan for Sait. Ecevit’s past continues to trouble him. The trio finds Sait and new surveillance footage. Ecevit, who has other designs on Sait, decides to take up the case in court. Ecevit plants himself deeper within Sait and İrfan's circle. Gurur thinks he will catch Ecevit off guard this time. Ecevit meets with İrfan and Sait. Hüseyin sets up Ecevit for a major disappointment, and Bilal takes matters into his own hands. İrfan gets suspicious and contacts a mysterious man from Ecevit's neighborhood. 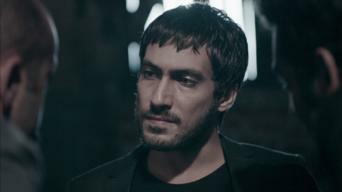 Gurur gathers more clues from İbrahim's mother. İrfan's revelations lead Ecevit to increasingly question his trust in his father, putting their relationship at risk. Ecevit's father has Bilal wrapped around his finger. Ecevit sends Bilal to draw out crucial information from İrfan's girlfriend. Birsen is vexed by Ecevit's interactions with Ahu. Bilal gets İrfan's girlfriend to disclose sensitive information and sabotages his secret shipment. Fed up with Ecevit's father's blackmailing, Bilal decides to spill the beans. Umut's father is in trouble, and Ecevit devises a plan to rescue him. Ecevit's scheme does not go according to plan. 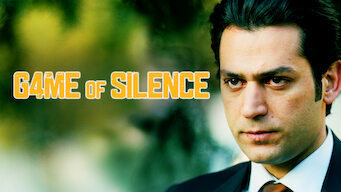 Bilal puts himself in the cross hairs of the big mafia boss when Ecevit's father intervenes. While İrfan tries to recuperate from the previous fiasco and build a stronger operation, Ecevit's father asks İrfan's boss for a job. Bilal feels the pangs of conscience. After İrfan one-ups Naim in the smuggling operation, Ecevit comes to his father's aid, but ensnares him instead. After falling out with Ahu, Bilal sets out on a dangerous mission and wreaks havoc. Gurur appears to change his mind about pursuing his case. İbrahim's predicament forces Ecevit to make a deal with the devil. İrfan plays his last card, but it may spell further trouble for him. İrfan and Bilal's confrontations bring tensions to a head. Gurur reflects on his troubled past. A new trio threatens to turn everything upside down. On the spur of the moment, Ecevit does something that changes things with Ahu. Bilal goes after Cebrail but falls into a trap. Ecevit turns in a tape to the police. 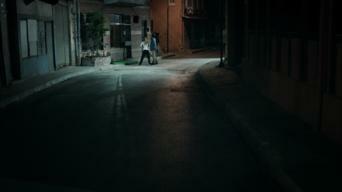 A child is caught in Gurur and İrfan's crime syndicate, which draws in Ecevit. 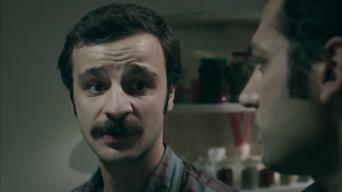 To carry out his new plan, Ecevit calls on his father for help. İrfan and Sait force the child to confess and hear a name they did not expect. As Ecevit examines Gazanfer's traces, Gurur gets more personal access to Bilal's life, and İbrahim unwittingly lets slip a key detail. Gurur helps İrfan and Sait solve key pieces of the puzzle related to the trio, but reaches a dead end and gives himself away in the process. İrfan grows suspicious of his lawyer. 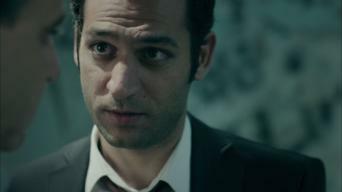 Ecevit and Bilal hatch a scheme to hit Gurur where he's most fragile. Gurur tightens the screws on Bilal. Ecevit reels in Sibel to help Bilal, but someone is on their tail. A big surprise lies in wait for Gurur. Bilal and Ecevit's game puts Sibel in dire straits. As the duo follows Ahu's trail, Gurur comes up with a sinister plan to split the two. Gurur gives Ecevit and Bilal an ultimatum and turns the game in his own favor. Bilal calls Sibel's phone, but someone else answers it. 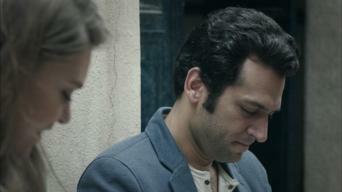 Gurur's scheme threatens to tear apart Ecevit and Bilal's friendship. 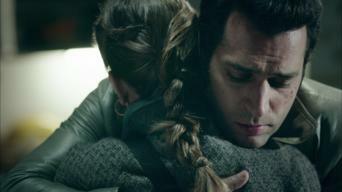 İrfan's paranoia grows as the trio involves his family. Now that Ecevit, Bilal and İbrahim have İrfan exactly where they want him, two menacing figures take İrfan and Sait’s places. Season 2 of Game of Silence has 24 episodes. Because different Netflix countries have different availability for episodes, you'll need to check the episode listing below to see which are available in Canada. Ahu prepares to take off. 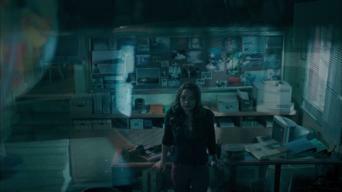 An ill-fated incident wrecks Gülten and İbrahim's chance at happiness. Under great duress, Gurur finds a way out. Gurur's sinister intentions are apparent to no one but himself. Ecevit gets a new job, but his boss has other motives. Ecevit, Bilal and İbrahim act exactly the way Gurur expects, and everyone gets increasingly entangled in the sinuous web of Gurur's scheme. İbrahim is about to walk into Gurur's trap. While Ecevit's suspicions grow, the wrong man ends up paying the price. Gurur tries to get on Bilal and Ecevit’s good side via İbrahim. İrfan leaves traces, but his pursuers are always a step behind. As the trio tries to sniff out the perpetrator from Gülten’s wedding, Gurur hands İrfan and Sait a tip, but İrfan might ruin the scheme. Gurur slowly but surely reels in Ecevit and Bilal, who seek out İrfan's wife. Gülten and İbrahim might face an unexpected dilemma. When Ahu witnesses a scene at Nisan’s office, Ecevit is caught in between. 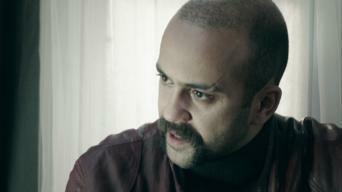 During a critical showdown, İbrahim is hesitant to pull the trigger. Ahu is determined to reveal Nisan's true face, but is stunned by what she finds. Nisan draws Ecevit into her orbit. Alienated from Ecevit, Bilal gets involved with the wrong crowd. Trust among the trio breaks down -- an ideal outcome for Gurur. Gurur makes a name for Bilal in the neighborhood. Ecevit, who is growing closer to Nisan, goes after Sait. Sait's new ploy threatens Nisan's relationship with Gurur. After learning a devastating truth, Bilal loses control. Bilal's behavior does not cease to surprise Ahu and Ecevit. Learning Ecevit's secrets puts a rift in Nisan's relationship with Gurur. Ecevit outwits Sait. Bilal sees a silver lining and is about to reconsider his actions when Gurur stops him with a shocking disclosure. Gurur exploits Bilal's helplessness. Nisan's conscience starts to bite at her, making Gurur uneasy. Gurur's trust in Nisan is on shaky ground. As he puts Ahu on Nisan's trail, Gurur drives a deeper wedge between Bilal and Ecevit. Bilal seeks out Naim. Gurur prepares to execute his plan, but his final move involves Nisan, who will not cooperate so easily now. Ahu is about to leave for good, but Ferhat gets mixed up in a freak accident involving Bilal, and Ecevit gets blood on his hands. Ahu and İbrahim turn their backs on Ecevit. Gurur, İrfan and Sait prepare for the final strike against Ecevit, who has a surprise up his sleeve. Ecevit settles his accounts while Sait and İrfan watch from behind. Seemingly helpless, Ecevit gets to make the last move. Bilal plans to sneak Ecevit out of the country, but his arrangement is hijacked by Sait and İrfan, who knock on Nisan's door. İrfan lays out his trap for Ecevit, but Nisan exploits the situation. Ecevit turns everything on its head when he makes an abrupt decision. When Gurur's body turns up unexpectedly, Bilal finds himself framed. Nisan gets her way, and İrfan executes his master plan. After her scheme flops, Nisan fears for Ecevit's safety and spoils İrfan's plan. İrfan and Ecevit have their last showdown.